The RAMC stripe’s colours are deep cherry, navy, and gold – reflecting the old uniform worn in the 1900s (cherry and dark blue), the gold depicting the royal in the title of the regiment. But with all that history, all that tradition, the stripe still looks great today. 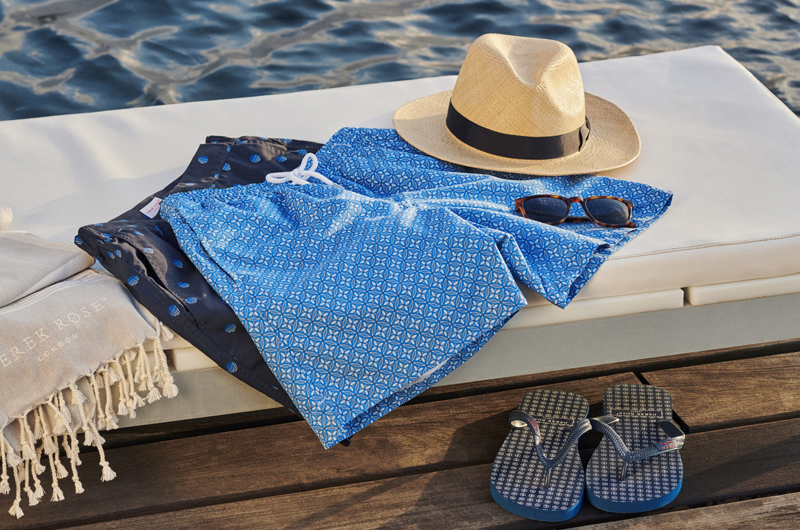 Styled for comfort and relaxation these pyjamas feature a three pocket jacket, classic collar and adjustable two-button waistband. Elasticated sides on the trousers mean the front and back are flat for your comfort. 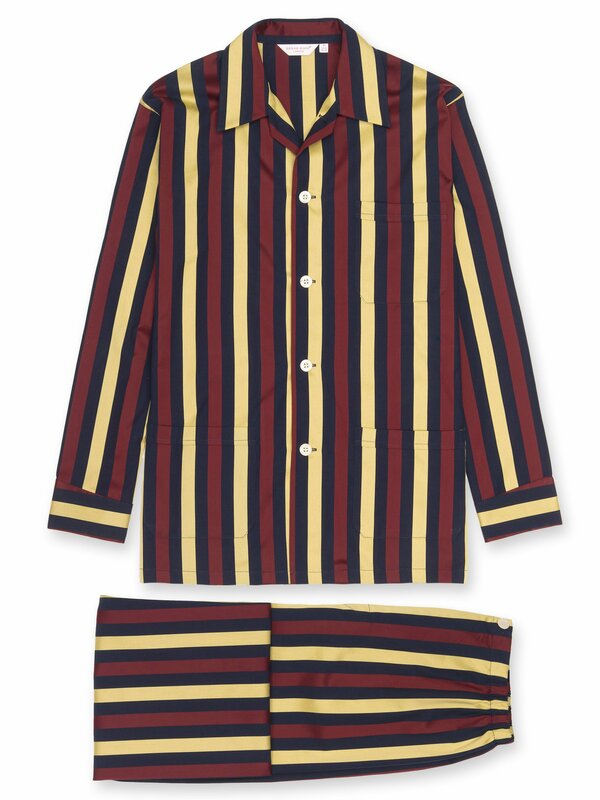 Sleepwear for men at its finest. Read more about our regimental stripes.